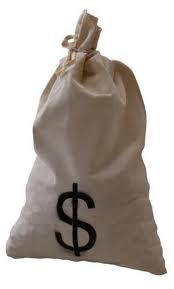 Jungle Red Writers: True Crime Tuesday or why do we love bank robbers? True Crime Tuesday or why do we love bank robbers? JAN: I was reading the Globe last week about the suspect in the robbery of eight banks in my general neighborhood who pleaded guilty. I immediately clicked through to the full story, and had a very strange reaction. When I found out the bank robber was from Norwood, I felt a little flood of -- yes,pride. I was actually pleased that he was from Norwood, the next door suburb, instead of from Charlestown in the city, where all the other bank robbers come from. s of imprisonment he faces on each count. WHAT IS WRONG WITH ME?? I actually own stock in one of the banks he robbed -- at two different locations -- stock that isn't doing so well lately, I might add. So why should I secretly applaud Dmitri? He charged into each of the banks waving a black semi-automatic pistol and also placed a device on the counter that everyone thought was a bomb. If he were a terrorist, I'd have no mercy, but because the bomb was fake, and because he just trying to rob the bank, after all, a few silly banks, I feel sort of sorry for Dmitri. AGAIN: WHAT IS WRONG WITH ME? apart from other criminals?? 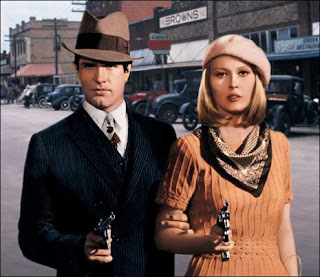 Is it the Bonnie and Clyde thing? The Butch Cassidy and the Sun Dance Kid thing? Has Hollywood made them into folk heros that has brainwashed me? Or do we just naturally admire a good heist? If there is no shoot out, do any of us have much sympathy for the victim - the bank - certainly not these days, and the crime itself does require an enviable amount of skill. So what do you think? Have I watched too many movies, or are bank robbers truly the the aristocrats of criminals? And don't forget to come back tomorrow, when I interview Harvard psychology professor Shelley Carson on her incredible book, Your Creative Brain -- which I've now read twice, and which is both useful and inspiring. I prefer to root for a good cat burglar myself. Shades of Cary Grant. My husband had an experience in a bank just before it was robbed. He remembered clearly the guy looking him right in the eye and smiling as they stood at adjoining tellers. John got a bad feeling but dismissed it and returned to his car. Then the robber came bolting out of the bank and across the lawn and later the cops called to interview him. Moral of the story--If your skin crawls, pay attention to it. What if he'd been taken hostage or shot? I do not love bank robbers. There's nothing charming or brave about Clyde Barrow. Just scary. Interesting how the media turned the good looking bank robbers that died young (and Dillinger and Pretty Boy Floyd...) into heroes. I think about it every time I go to the bank--which is rare, now, since I'm all about ATMs. Where there are also robbers. Sometimes, with all the fees and extra charges, I think the BANKS are the robbers. But probably that's another blog. Maybe its all the fees.....maybe that's why I'm hot for bank robbers -- it's a revenge thing. Roberta, that IS a creepy story, or maybe more like a cautionary tale. But how do you all explain the popularity of those heist movies? I forgot about cat burglars -- they actually might be up a notch from bank robbers on the social hierarchy. Part of it must have been that they weren't robbing people, they were robbing BANKS - the establishment, the MAN. Of course, that's baloney, but it makes for some good movies. As a former bank teller and customer service rep, I have all sorts of stories of bank robbers. It happens more than you think. Most robbers don't walk into a bank banishing a gun. They walk up to a teller and hand them a piece of paper saying, "Hand over your money." or something like that. A bank robber would get more money robbing a gas station. I was never robbed personally, but a lady came in trying to cash a stolen check she knew was stolen. The security guard (an off-duty cop) handcuffed her to his podium. THAT got the attention of our customers. The "biggest" robbery I remember from my banking days was actually a wire transfer a coworker did. We did everything right on our end. The guy stole a rubber stamp of a company's president's signature. The guy got away with $300K. We were not cheering for him, because my coworker almost lost her job. As for the love of robbers, could it have something to do with Robin Hood? I think you nailed it. The steal from the rich, give to the poor thing. Except the bank robbers aren't generally as charitable. Still fictionally speaking, they still get set up as some sort of life victim, so we root for them. Ro, you are right, they get smarter and cooler with each new movie, but from what Melissa says, sounds like they aren't nearly as smart in real life. Sigh.... I kind of wanted them to be smart. Okay..have I written about these losers before?... a couple of bank robbers in CT called the bank ahead of time to tell them how they wanted the money wrapped when they came to rob the bank - IN 15 MINUTES! And they were actually surprised when the cops were there to meet them. Not smart. Maybe they should have stuck to shoplifting. oooh Melissa, you have some great story ideas there!